Pregnancy is a magical bonding time between mother and child; a one of a kind experience that can never be recreated. Everybody knows how beautiful a pregnant woman is; the glow she has and that amazing round belly that everyone sems to want to touch. There is nothing like feeling of the motion of your unborn child inside you. Now is your chance to eternalize the moment with a one of a kind Belly Cast / Belly Bowl. 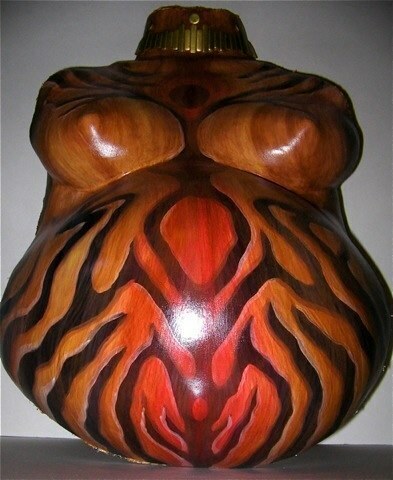 A Belly Cast / Belly Bowl is a plaster mold of your body that is strengthened and painted to make a beautiful piece of art. There are many different finishes available to suit your preferences and style.